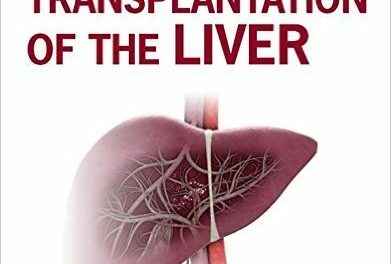 Editors: Anthony P. Sclafani, MD; Robin A. Dyleski, MD; Christopher J. Linstrom, MD; Michael J. Pitman, MD; Steven David Schaefer, MD; Stimson P. Schantz, MD; and Edward J. Shin, MD. In the specialty of medicine pertaining to the ear, nose and throat called otorhinolaryngology there are quite a few subspecialties, and the associated field of head and neck surgery makes it even more complex to master, especially when you take into account that new discoveries are being made, new surgical procedures are having successful outcomes, and new drugs are coming to market after completing clinical trials. 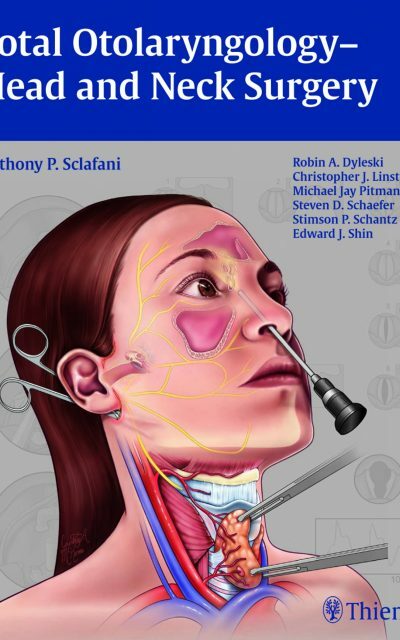 The need to not just understand but master the “intricate anatomic and physiologic relationships of the structures between the thoracic inlet and the foramen magnum”(in the words of the editor-in-chief Dr. Sclafani) led to the widening and deepening of medical knowledge and surgical practice in this complicated medical specialty. So. subspecialties have evolved and grown. 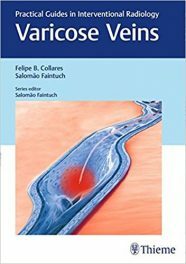 A lot of the results of new research and practices have been incorporated in this textbook, making this book very useful, and a must to own, with so many experts sharing their wide and deep knowledge and their unique experience and insight with you. With nearly 1,100 pages, the editors have created a sort of book tree in which the chapters are not directly connected to the eleven sections, but to subsections. Except for sections 1 and 2, sections 3 through 8 have 28 subsections. 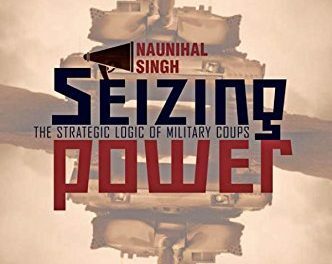 So there is a lot of material in it due to the immense amount of existing information and new information that has emerged in recent years. A notable beginning to this tome is the listing and brief discussions of emergencies in the first 25 pages of section 1 entitled Emergency Management. These are: head and neck emergencies, otologic emergencies, pediatric ENT emergencies, facial plastic and reconstructive emergencies, rhinologic emergencies, laryngologic emergencies, and emergency airway management and tracheotomy. 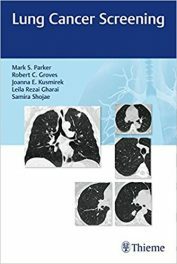 After a short, single-paragraph Introduction, in Imaging Modalities, the following types of imaging are described: Radiography, Computed Tomography OR CT, Ultrasonography, Magnetic Resonance Imaging or MRI, and Positron Emission Tomography or PET. Under Imaging Anatomy, you will find material under the following headings: Skull Base and Roundsmanship. Under the Skull Base (10.3.1) heading, you will find these subheadings with discussions: Temporal Bone, Inner Ear, External Ear, Facial Nerve, and Sinuses. Under the Head and Neck Mucosal Surfaces (10.3.2) heading, there are these subheadings: Nasopharynx, Oral Cavity, Oropharynx, Hypopharynx, and Larynx. Under the Soft Tissues of the Neck (10.3.3) heading are these subheadings: Parapharyngeal Space, Carotid Space, Parotid Space, and Masticator Space. In the Roundsmanship heading, the authors – Drs. Mehta and Hira – write that imaging of the head and neck typically reveal infection or airway obstruction. They recommend contrast-enhanced CT as the examination of choice in most cases to look for acute head and neck infection, and obstruction in the airway. In examining children, they write that radiography may be considered to evaluate for epiglottis due to the reduced radiation dose. Dr. Mehta and Dr. Hira suggest that you should review your imaging results with a radiologist to improve the accuracy of the interpretations and to provide the highest-quality care to your patients because head and neck imaging is challenging even for the most experienced neuroradiologists. They also caution you to be aware of radiation doses and possible side effects of IV contrast material when you are ordering imaging of the head and neck. You may also consider image-guided (CT or ultrasound) percutaneous need biopsy of deep lesions of the head and neck, a service that is available at many institutions. 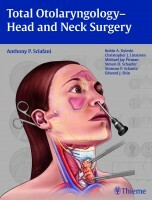 This is a book with extensive coverage on otolaryngology and head and neck surgery, from which you can benefit much in your studies and practice. Anthony P. Sclafani, MD, FACS is Director of Facial Plastic Surgery in the Department of Otolaryngology – Head and Neck Surgery at New York Eye and Ear Infirmary of Mt. Sinai; and Professor of Otolaryngology at Icahn School of Medicine at Mt. Sinai in New York, New York. Robin A. Dyleski, MD is Assistant Professor of Otolaryngology, and Chief of Pediatric Otolaryngology in the Department of Otolaryngology – Head and Neck Surgery at Loma Linda University Medical Center in Loma Linda, California. Christopher J. Linstrom, MD, FRCSC, FRSCE is Professor of Otalaryngology; Surgeon Director of Otology and Neurology in the Department of Otolaryngology – Head and Neck Surgery at Icahn School of Medicine at Mount Sinai in New York, New York. Michael J. Pitman, MD is Associate Professor in the Department of Otolaryngology – Head and Neck Surgery in the New York Eye and Ear Infirmary of Mount Sinai in New York, New York. Steven David Schaefer, MD, FACS is Director of Sinus Surgery and Academic Development in the New York Head and Neck Institute at North Shore Long Island Jewish Health System. He is also former Professor and Chair in the Department of Otolaryngology at New York Eye and Ear Infirmary of Mount Sinai in New York, New York. Edward J. Shin. MD, FACS is Chair of the Department of Otolaryngology at New York Eye and Ear Infirmary of Mount Sinai; and Professor of Otolaryngology in the Department of Otolaryngology – Head and Neck Surgery, at Icahn School of Medicine at Mount Sinai in New York, New York.